The ancient Chinese masters knew about things like hormones and how they work upon the body to cause growth and repair etc. They did not know that hormones existed but rather that doing certain exercises at certain times and ways, caused the body to react in building the correct muscle groups for the self defense arts. 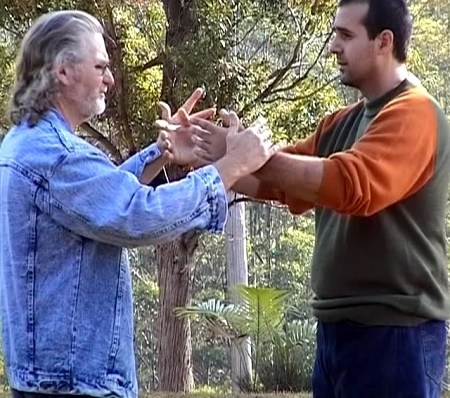 Fa-jing for instance needs this type of push hands in order to build strong fa-jing punching. Doing push hands in this way, causes lactic acid to build up as it is Anaerobic. This is important as this causes the human growth hormone to be produced much more during sleep in order to repair and build upon those muscle groups that we have exercised during our daily Power Push hands training. There are 4 main methods and 4 peripheral methods and all are taught on this tape during Camp 2002.